In the past, conservatory roofs have been hit and miss. Some conservatory companies have installed conservatories into people’s homes that become very hot in the summer and very cold in the winter. Here at Country Hardwood, we provide the best quality conservatories to avoid any issues with uncomfortable interior temperatures at various points of the year. The answer to updating problematic conservatories? A new roof, of course! At Prestige Roof Lanterns UK, we can provide you with a brand-new roof that will not only help with the temperature of your conservatory, but also makes a fantastic aesthetic feature too! Are you thinking about conservatory roof replacement? For a constant comfortable conservatory temperature, avoid polycarbonate. Polycarbonate conservatory roofs tend to make a conservatory too hot in the summer and let all the heat out in the winter. This is, essentially, opposite to what’s required! Unless you want to close-off your conservatory in the height of summer and depth of winter, you’re best avoiding polycarbonate roofs. Tiled roofs tend to be a solid roof option that is both durable and effective. 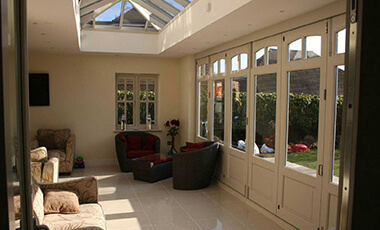 With a tiled roof, you can insulate your conservatory in the winter and keep it cool in the summer. Similarly, energy-efficient glass is an effective means of making sure your conservatory stays at a comfortable temperature through various points of the year. 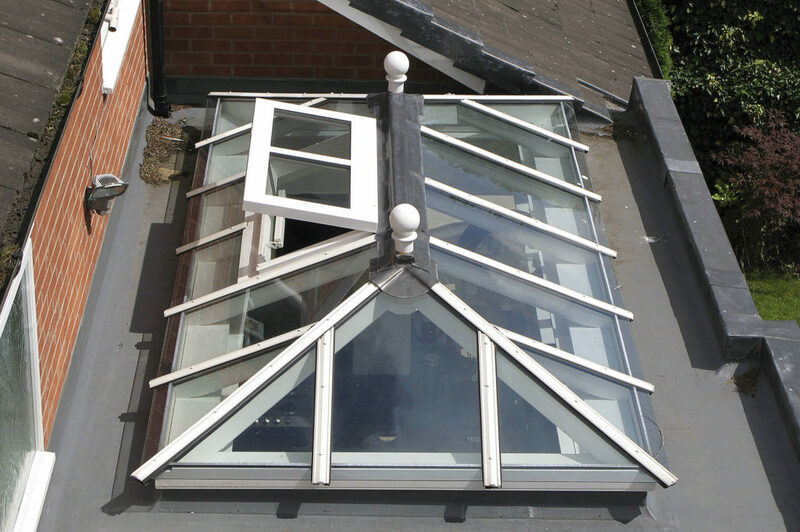 Here at Prestige Roof Lanterns UK, we’ve got a range of glass roof options available that can significantly improve your conservatory. You will need to consider if changes to your current conservatory will require planning permission. You can take a look at more information about planning permission on our website. Don’t scrimp on your roof budget. The roof is one of the most important features of your conservatory. Therefore, make sure you budget wisely. There is no point spending lots of money on the conservatory interior and scrimping on the roof. A solid, great quality outdoor structure will undoubtedly make for a conservatory you’ll cherish for years. Now you have chosen your new roof and checked for planning permission, if you have opted for glass, you’ll need to consider whether you are going to have a domed or flat roof? Some people like the grandeur of domed roof, while others think that a flat roof is more sophisticated. Additionally, if you have opted for a tiled roof, you may want to have skylights or rooflights installed, these will be flat or domed, depending on your preferences. Some opt for domed because it magnifies the light more, however, the final decision really is down to personal preference. 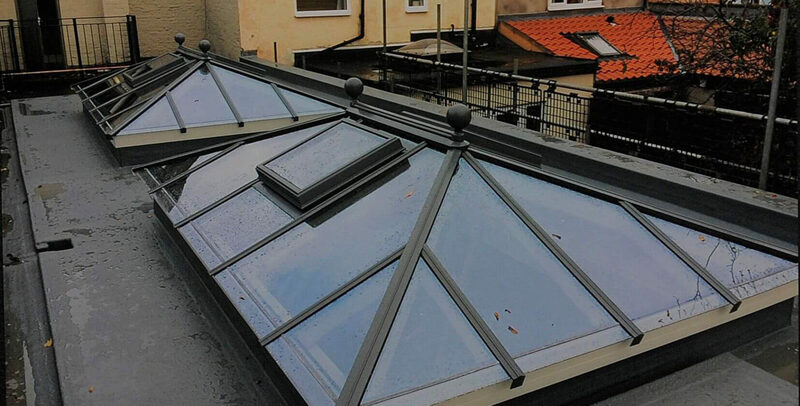 Whether you would like a roof lantern skylights or plain roof installed on your orangery or conservatory, we can help here at Prestige Roof Lanterns UK. 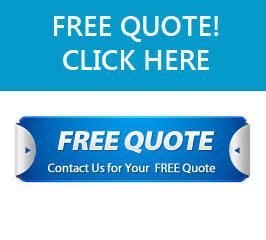 Feel free to contact us with any further advice you may require.